Due to popular demand, we have extended the offer until March 18th. For a limited time, receive 20% off your first order of NEW online business skill courses. Our courses can be used for staff development, new employee training or to assist you in marketing yourself for a new position. Our courses are online and self-paced, so that you can complete the course when it is convenient for you. Topics, course length and difficulty level vary so that you can choose the right courses for you or your employees’ needs. Each course includes excerpts from related reports and articles to help reinforce the information, while assignments and exercises test your knowledge. The courses also include audio and video components and an “Ask the Expert” feature which allows participants to submit a question and receive a response within 24 hours. Courses begin at as little as $55 and can be purchased individually or as bundles. Quantity pricing is also available. 1. Review the Course Catalogue to find the course(s) you like. 2. Add course(s) to cart and proceed to secure checkout. Prefer to order over the phone? Call our offices at 1-888-658-6641, Monday – Friday, 9am – 5:30pm Eastern Time and reference this email. It’s hard to find an exact science on how to look for a job. Job searching can be a very daunting experience. With so many methods of applying for jobs, it is getting easier for under-qualified or over-qualified candidates to get in the way of your resume. If you are lucky enough to be called in for an interview, frustrated HR Managers can feel rushed and become numb to candidates’ feelings: greatly impacting the questions they will ask YOU. Becoming discouraged, you may begin applying for jobs that you’re not that interested in or give up entirely. Don’t give up. Instead, adjust your strategy and make improvements. 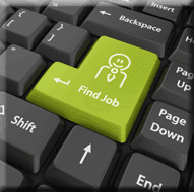 Ace Your Job Search is perfect for anyone thinking about or already in the process of searching for a new job. Ace Your Job Search is an online, self-paced course that provides expert advice and helpful information to give you a leg up on your competition. Ace Your Job Search covers everything from reviewing your career goals and preparing for your job search to submitting a great-looking resume and scoring big on the interview. It even explains appropriate follow up procedures. Sending out the same resume to jobs varying in fields or positions is not effective in finding your dream job. As someone who has looked at countless resumes, I appreciate when someone has taken the time to customize their resume to the position they are applying for. Part 1: Tailoring Resumes and Cover Letters for a Perfect Fit will help you understand the importance of a cover letter and resume and how to use them to your advantage. The section instructs you on how to appropriately put together your resume. It also includes helpful action words to include in your resume and how to avoid making common mistakes. This section even walks you through managing references and how to appropriately list them on a reference list. It will even help you format your resume and cover letters for particular submission methods like email, paper, job search websites or the company’s database. Overall, Tailoring Resumes and Cover Letters for a Perfect Fit will help your cover letter and resume stand out from the crowd and get some face time with HR. Interviewing Skills: Make the Right Impression provides vital information on utilizing each step to your advantage, like how to conduct the company research quickly and effectively, brainstorm potential interview questions and answers, develop interview techniques and even understand appropriate follow-up protocol. You can even use and print out a reflection tool to take notes on how your interview went and brainstorm improvements that can be made on your next interview. Ace Your Job Search will also help you handle behavioral interviewing questions flawlessly as well as effectively deal with the Hiring Manager’s stress tactics. Overall, this course will give you a leg up on the competition. You’ll feel more confident in your job search, more prepared in your interview and conduct yourself in a professional and effective manner. If you have any questions about this or any other course, please contact us via email at learn@corexcel.com or 1-888-658-6641 (Mon-Fri, 9m – 5:30pm Eastern Time).